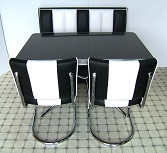 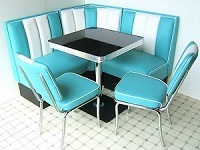 We have a great range of 50s style diner sets with discounted prices! 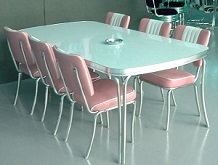 All our diner tables and chairs are commercial grade and are suitable for the home, restaurant, bar, games room or even the conservatory! 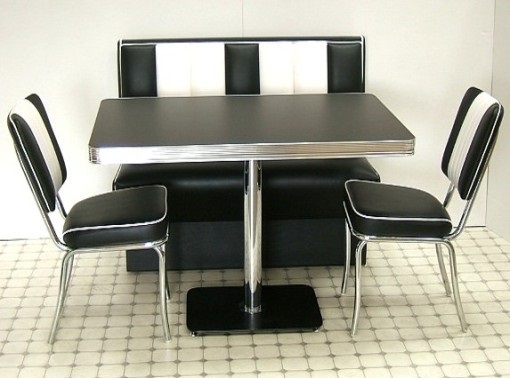 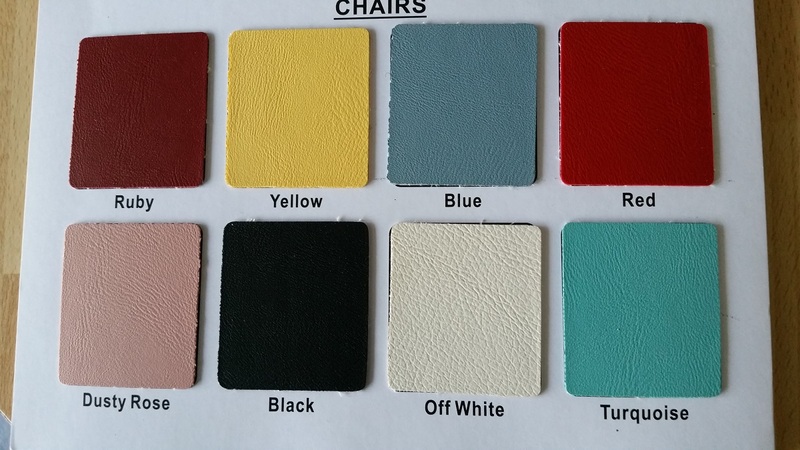 Starting with your kitchen, there are lots of new fifties style diner tables with laminate tops all set off with retro diner chairs and retro bar stools in a choice of 8 colours. 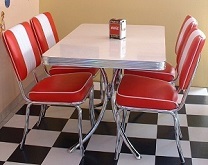 Create a unique dining experience with a diner booth to match and your family will never want to leave the dinner table! 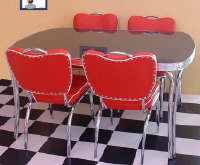 Finish off the whole effect and have several neon signs on the wall to get your visitors talking about your cool kitchen!